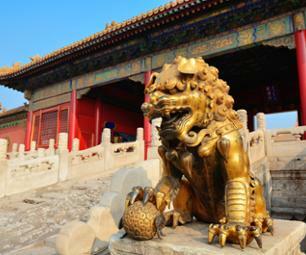 Spend a day discovering Beijing and its biggest monuments! 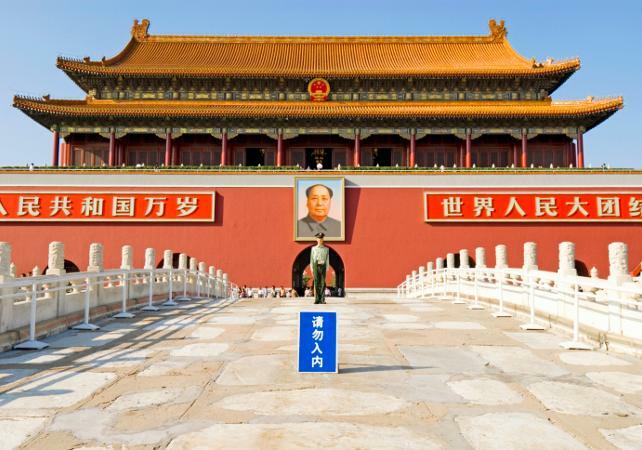 Your guide will meet you at your hotel and you will go directly to Tiananmen Square. You will have the opportunity to discover the square that has become the symbol of the People's Republic of China and whose name means 'The Gate of Heavenly Peace'. 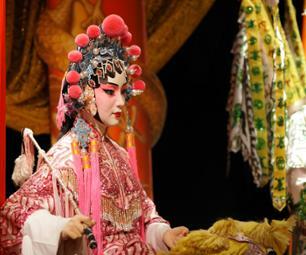 On your way to the Forbidden City, you will make a stop in front of The National Centre for the Performing Arts, which is nicknamed 'the giant egg'. 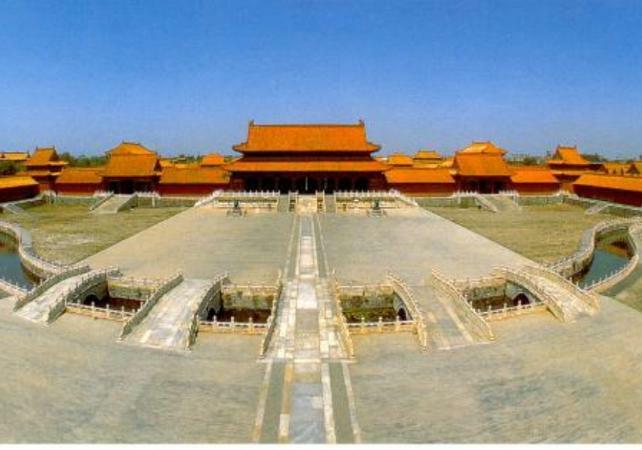 At the heart of the Forbidden City, your guide will help you explore this 500 year old imperial complex from north to south. 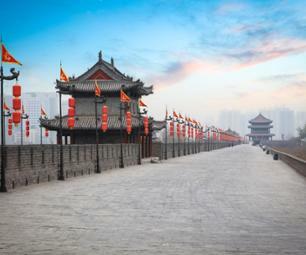 Heading up to Jingshan Park, you will be able to enjoy an incredible panoramic view over the Forbidden City and Beijing. 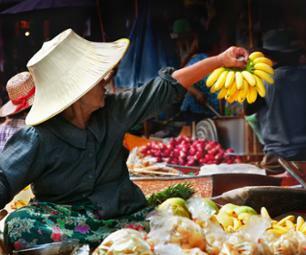 You will then have lunch in a restaurant and taste some local specialities. 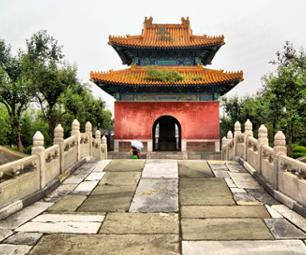 There are three options for the afternoon visit: the Temple of Heaven, the Summer Palace or the Hutong area. 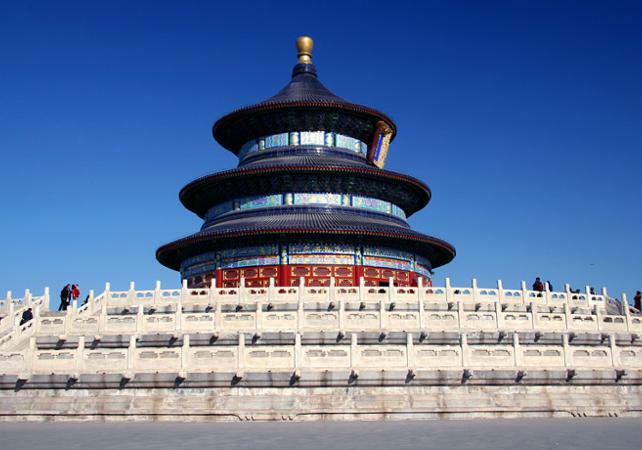 If you choose to visit the Temple of Heaven, your guide will take you around the Taoist temple which is one of the largest places of worship in the world! 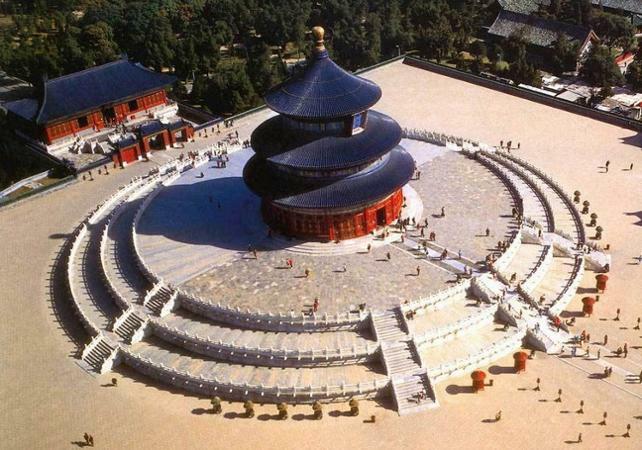 Listed as a UNESCO World Heritage Site, the Temple of Heaven's grounds extend over 2.7 square kilometers (1 square mile). You will be able to admire the hall of prayer, the sacrificial altar and even the Imperial Vault of Heaven. If you choose to spend your afternoon at the Summer Palace, you will have the opportunity to explore the beautiful Chinese imperial garden. 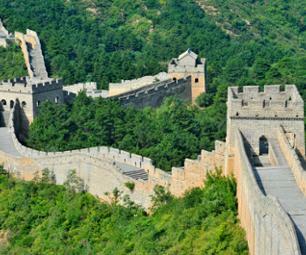 Listed as a UNESCO World Heritage Site, the garden represents the harmony between nature and man-made structures. You will be able to view the palace, pavilions and bridges, which are perfectly situated among the lakes and hills of the garden. If you choose to visit the Hutongs by tuk-tuk, your guide will lead you on a tour around these traditional areas of Beijing aboard a motorized rickshaw. 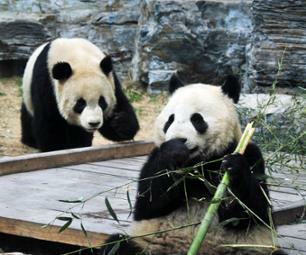 You will have the opportunity to stop at a traditional Beijing house and meet a family living in the Hutongs. 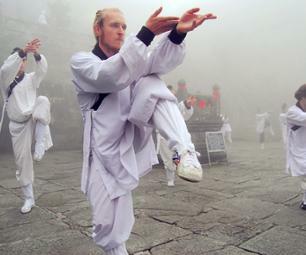 Next, you will go up to the top of Drum Tower, to take in a fantastic view of the area. 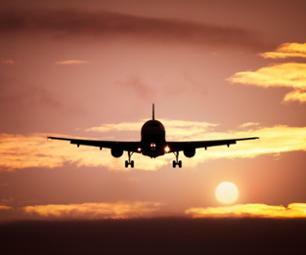 At the end of your trip, your guide will accompany back to your hotel. The advertised price is the price per person based on a tour for 4 people in English. Rates can vary according to the language requested.